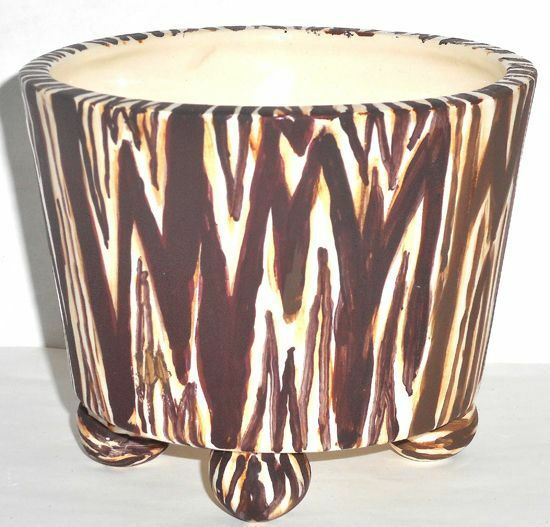 Adding a plant to this 4-1/2" wide by 3-1/2" tall planter with it's bold dark brown and white zebra print will make a great gift on Mother's Day. 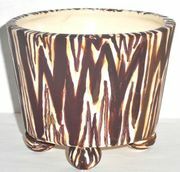 It will compliment any room in the house. Also comes will a shallow dish to catch water run off. We can also paint any other Droll pattern on this planter. Just specify when ordering.